StereoBlue stereo microscopes from Euromex in the Netherlands are designed for professional use in laboratories, industry and education offering excellent optical performance and robust construction. A wide range of configurations are available to satisfy mechanical and electronic engineers, biologists, entomologists, geologists, as well as professions such as jewellers and dental technicians. This model, StereoBlue SB.1903, is configured with a trinocular head for connecting a digital camera, rack and pinion stand and parfocal zoom objective providing variable magnification between 7.5x and 45x. The magnification can be further altered by using optional eyepieces and auxilliary lenses (download technical data sheet for more information). All lenses are anti-fungus treated and anti-reflection coated to maximise light throughput. Illumination is provided by two sets of 3W LED in both incident and transmitted sub-stage configuration. Both illuminations can be used together or separately and the light intensity can be adjusted separately. Supplied with an external 100-240 V mains adapter/charger. View alternative models of StereoBlue on the Similar Products Tab. Microscope, power cord, dust cover, spare fuse, 60mm diameter transparent and black/white stage plates and user manual. All packed in polystryene box. Euromex offer a range of accessories including digital cameras, eyepieces, objectives and lighting. 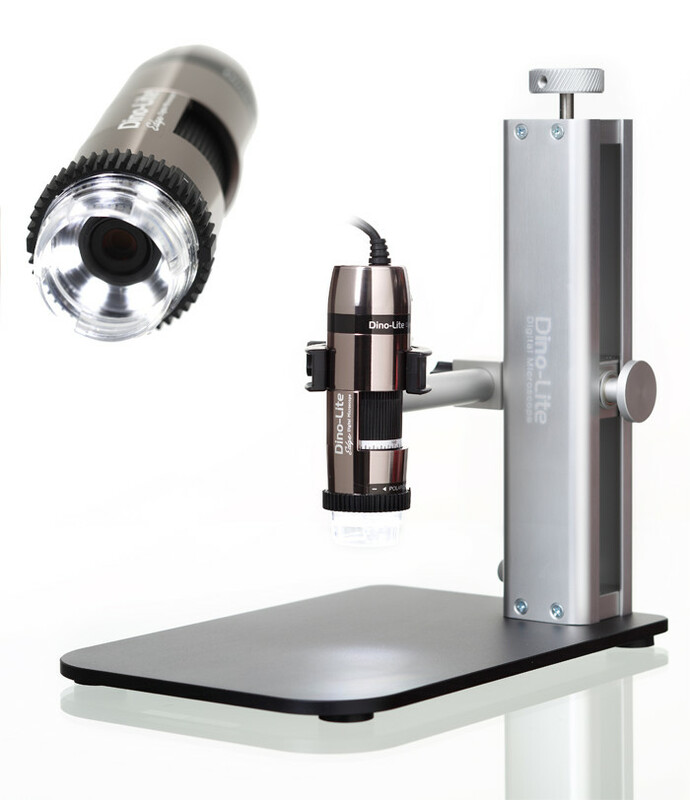 We have selected some of the more popular optional items for this microscope which can be found on the Related Accessories tab.